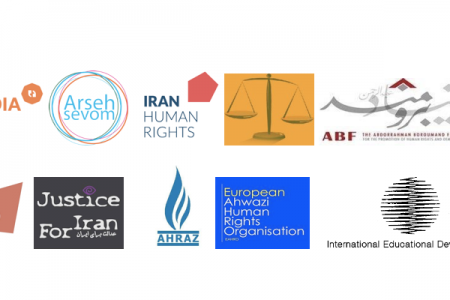 Iranian authorities must immediately put a halt to the execution of Kurdish political prisoners and prisoners of conscience, 22 human rights organizations stated. These organizations also urged for an immediate moratorium on the death penalty and a right to due process and fair and public retrials for all prisoners sentenced to death. On Tuesday August 9, 2016, at dawn, five Kurdish prisoners were hanged on narcotic charges in Urmia Central Prison in Iran, official sources and Iran Human Rights (IHR). One man, Mohammad Abdollahi, is also believed to have been executed. Abdollahi was charged with the capital offense moharebeh (enmity against God) for his alleged membership in a Kurdish political party. Abdollahi insisted that he had simply obtained a membership card from the group. Mohammad Jafar Montazeri, the Attorney General of Iran, has confirmed the execution of 20 Sunni prisoners at Karaj’s Rajai Shahr Prison on Tuesday August 2, 2016. Shaheed, Ahmed, Situation of Human Rights in the Islamic Republic of Iran, United Nations General Assembly ,October 2015. Iran Prison Atlas at United4Iran. Iran Human Rights’ (IHR) Annual Report on the Death Penalty in Iran (2015), March 2016. – Aliassi, Taimoor, Drug Addition as a Human Rights Issue in Iran: Advoacy and Mobalization of NGOs and Media in Kurdistan of Iran, Université de Genève, June 2013. Hhinnomaz, Ota ; Sheeran, Scott ; & Bevilacqua, Catherine, The Death Penalty for Drug Crimes in Iran : Analysis of Iran’s International Human rights Obligations, Human Rights in Iran Unit of University of Essex, March 2014.